If you have a ton of tabs open, it can be next to impossible to figure out which one the sound is coming from—especially if it's an ad—and if you're in class or at work, that can be pretty embarrassing. 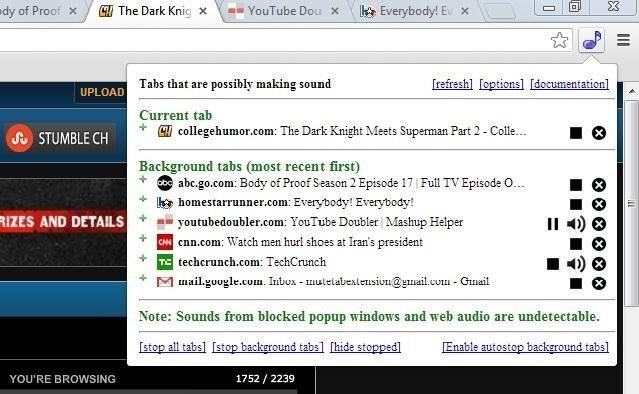 For those of you using Google Chrome, there's a simple solution to hunting down that noisy tab. An extension called MuteTab shows you exactly which tabs are making noise and lets you mute individual tabs from a little icon in your address bar. When you click on the little music note icon, it brings up a list of your open tabs and shows you which ones are currently playing music or video. From there, you can pause or mute the tab, close it, or mute all tabs at once. This is especially helpful in those cases when a loud music-playing ad seems to pop up out of nowhere, and it seemingly doesn't exist. Have you ever closed all of the tabs and windows just to find the music still playing? Yeah, well, this extension might help you find the culprit, but there are cases when this won't work, thanks to Chrome's settings. You can grab MuteTab for free over on the Chrome Web Store. Unfortunately, there isn't a similar add-on for Firefox users, but there are a few other solutions. With BarTab, you can put the tabs you aren't using on hold without closing them out. Tabs that are suspended will appear greyed out, and you can click to reload them anytime. Alternatively, you can disable autoplay altogether with an extension called Click To Play. It replaces Flash content with a static image that you can click on if you want the media to play. To enable it in Firefox, type about:config into your URL bar, then dismiss the warning that appears. Type plugins.click_to_play into the search bar, then right-click on it and hit Toggle. 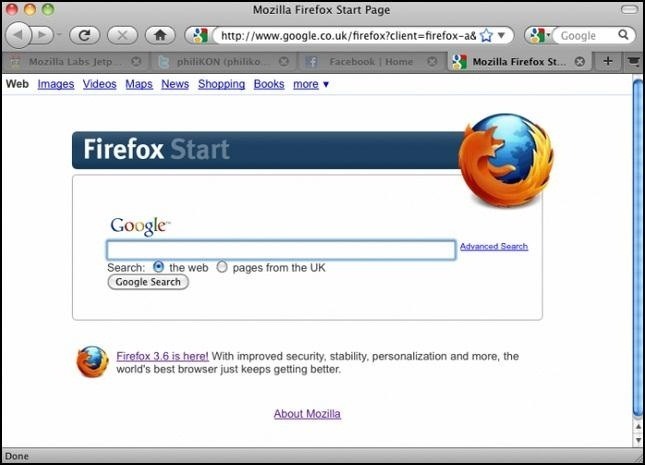 Once you restart Firefox, the image above will replace Flash content. Know of any other extensions to help manage unwanted media? Let us know in the comments below.